On the 9th (Mon), hike along Chatauqua Peak and then hike along The Pinnacle. To see more things to do, where to stay, photos, and other tourist information, use the Halls Gap day trip planner . Melbourne to Halls Gap is an approximately 3-hour car ride. You can also do a combination of train and bus; or take a bus. Cap off your sightseeing on the 9th (Mon) early enough to travel to Hamilton. Hamilton is a large town in south-western Victoria, Australia, at the intersection of the Glenelg Highway and the Henty Highway. On the 10th (Tue), take in the dramatic scenery at Nigretta Falls, then do a tasting at Pierrepoint Wines, and then take in nature's colorful creations at Hamilton Botanic Gardens. For traveler tips, reviews, ratings, and more tourist information, read our Hamilton trip itinerary planning app . Traveling by car from Halls Gap to Hamilton takes 1.5 hours. Finish your sightseeing early on the 10th (Tue) to allow enough time to travel to Arthurs Seat. Arthurs Seat is a hill and locality on the Mornington Peninsula, within the Shire of Mornington Peninsula, about 75 km south east of Melbourne, Australia. On the 11th (Wed), take in nature's colorful creations at The Enchanted Adventure Garden, trek along Cape Schanck Boardwalk, then stop by Marion Rosetzky Gallery, and finally do a tasting at Stoniers Vineyard. For where to stay, other places to visit, ratings, and more tourist information, read Arthurs Seat online road trip planner . Drive from Hamilton to Arthurs Seat in 4.5 hours. Expect a daytime high around 15°C in July, and nighttime lows around 7°C. Finish your sightseeing early on the 11th (Wed) to allow enough time to travel to Wilsons Promontory National Park. 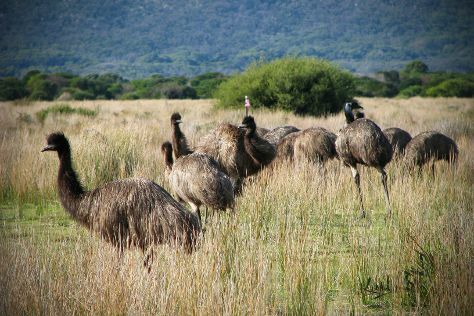 Kick off your visit on the 12th (Thu): look for all kinds of wild species at Wilsons Promontory National Park. On the next day, enjoy the sand and surf at Squeaky Beach, then tour the pleasant surroundings at Norman Beach, and then visit a coastal fixture at Cape Liptrap Lighthouse. For other places to visit, where to stay, and more tourist information, read our Wilsons Promontory National Park road trip planner. You can drive from Arthurs Seat to Wilsons Promontory National Park in 3 hours. Finish up your sightseeing early on the 13th (Fri) so you can travel to Newhaven. Newhaven is a town in southern Victoria, in the south Gippsland region. Start off your visit on the 14th (Sat): tour the pleasant surroundings at The Nobbies Centre, then look for all kinds of wild species at Phillip Island Wildlife Park, then step off the mainland to explore Phillip Island Nature Parks - Koala Conservation Centre, and finally step off the mainland to explore Churchill Island. To see ratings, more things to do, maps, and tourist information, you can read our Newhaven online visit planner . Getting from Wilsons Promontory National Park to Newhaven by car takes about 2 hours. In July in Newhaven, expect temperatures between 15°C during the day and 7°C at night. Finish your sightseeing early on the 14th (Sat) so you can travel to Canberra. 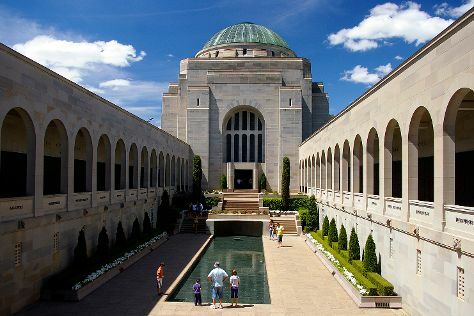 On the 15th (Sun), explore the world behind art at National Gallery of Australia, then explore the activities along Lake Burley Griffin, then get engrossed in the history at Australian War Memorial, and finally get some fabulous bargains at Canberra Outlet Centre. Here are some ideas for day two: engage your brain at Questacon, admire the masterpieces at National Portrait Gallery, and then get a sense of history and politics at Parliament of Australia. For ratings, traveler tips, where to stay, and other tourist information, use the Canberra trip tool . Explore your travel options from Newhaven to Canberra with the Route module. Traveling from Newhaven in July, Canberra is a bit cooler at night with lows of 0°C. Cap off your sightseeing on the 16th (Mon) early enough to go by car to Katoomba. 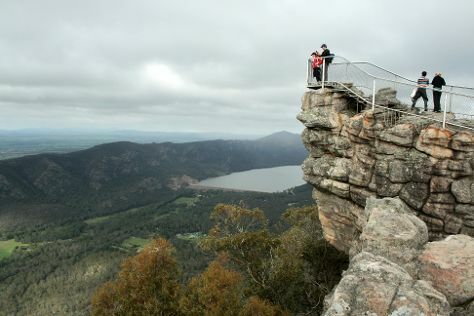 Step out of the city life by going to Pulpit Rock Lookout and The National Pass. You'll find plenty of places to visit near Katoomba: Norman Lindsay Gallery & Museum (in Faulconbridge) and Jenolan Caves (in Jenolan Caves). There's still lots to do: explore the activities along Coachwood Glen Nature Trail, stroll through Grand Canyon track, admire the sheer force of Wentworth Falls, and take in breathtaking views at Lincoln's Rock. To find where to stay, maps, ratings, and tourist information, refer to the Katoomba trip planner . Traveling by car from Canberra to Katoomba takes 4 hours. Alternatively, you can do a combination of flight and train; or do a combination of bus and train. Plan for a bit warmer temperatures traveling from Canberra in July, with highs in Katoomba at 20°C and lows at 3°C. Wrap up your sightseeing on the 19th (Thu) to allow time to drive to Sydney. Get some cultural insight at Sydney Opera House and The Rocks. You'll enjoy a bit of beach vacationing at Bondi Beach and Coogee Beach. Spend the 23rd (Mon) exploring nature at Sydney Harbour National Park. There's lots more to do: hike along Bondi to Coogee Beach Coastal Walk, enjoy the sand and surf at Clovelly, tour the pleasant surroundings at The Opera House to the Botanic Gardens Walk, and look for all kinds of wild species at Cremorne Reserve. 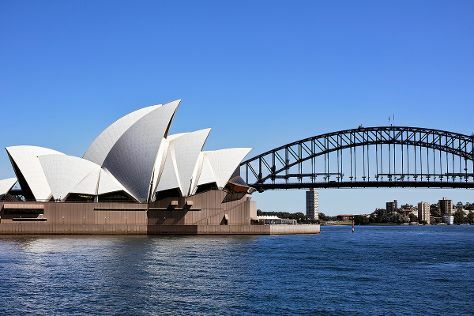 To see photos, where to stay, ratings, and more tourist information, use the Sydney trip planner . You can drive from Katoomba to Sydney in 1.5 hours. Alternatively, you can take a train; or do a combination of train and bus. Traveling from Katoomba in July, you can expect nighttime temperatures to be somewhat warmer in Sydney, with lows of 9°C. Wrap up your sightseeing on the 25th (Wed) early enough to travel to Port Macquarie. Kick off your visit on the 26th (Thu): stroll through Coastal walk, look for all kinds of wild species at Koala Hospital, and then take in the architecture and atmosphere at St Thomas Anglican Church. Keep things going the next day: try for a hole-in-one at Port Macquarie Driving Range and Mini Golf, do a tasting at Long Point Vineyard, then enjoy the sea views from Tacking Point Lighthouse, and finally make a trip to Breakwall. For maps, reviews, and more tourist information, refer to the Port Macquarie online itinerary planner . Getting from Sydney to Port Macquarie by flight takes about 3.5 hours. Other options: drive; or take a bus. Expect slightly colder weather when traveling from Sydney in July: highs in Port Macquarie hover around 13°C, while lows dip to 9°C. Cap off your sightseeing on the 27th (Fri) early enough to travel to Nimbin. Nimbin is a village in the Northern Rivers area of the Australian state of New South Wales, approximately 30km north of Lismore, 33km northeast of Kyogle, and 70km west of Byron Bay.Nimbin is notable for the prominence of its environmental initiatives such as permaculture, sustainability and self-sufficiency as well as the cannabis counterculture. On the 28th (Sat), identify plant and animal life at Nimbin Rocks, identify plant and animal life at Whian Whian State Conservation Area, and then admire the sheer force of Protestors Falls. Take the guesswork out of planning a Nimbin vacation by using our trip itinerary maker. Getting from Port Macquarie to Nimbin by car takes about 5 hours. Other options: fly. Traveling from Port Macquarie in July, you will find days in Nimbin are somewhat warmer (24°C), and nights are about the same (7°C). Cap off your sightseeing on the 28th (Sat) early enough to travel to Byron Bay. Kick off your visit on the 29th (Sun): stroll through Belongil Beach, enjoy the sea views from Cape Byron Lighthouse, and then trek along Cape Byron Walking Track. Get ready for a full day of sightseeing on the next day: stroll through Lennox Head Beach, admire all the interesting features of Tropical Fruit World, and then enjoy the sea views from Fingal Head Lighthouse. For traveler tips, more things to do, where to stay, and tourist information, you can read our Byron Bay trip planner . Getting from Nimbin to Byron Bay by car takes about 1.5 hours. In July, daytime highs in Byron Bay are 24°C, while nighttime lows are 7°C. Cap off your sightseeing on the 30th (Mon) early enough to go by car to Brisbane. You'll get in some beach time at Surfer's Paradise Beach and Burleigh Head National Park. 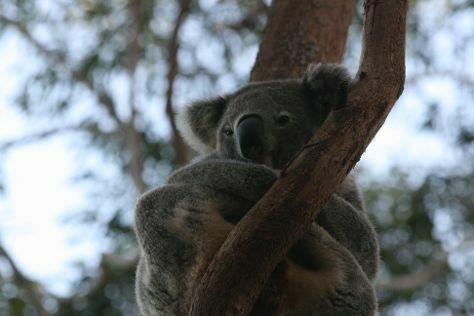 Get in touch with nature at Lone Pine Koala Sanctuary and The Brisbane River. When in Brisbane, make a side trip to see Marina Mirage in Main Beach, approximately 1h 35 min away. And it doesn't end there: kick back and relax at Burleigh Heads Beach, admire the natural beauty at City Botanic Gardens, let the kids burn off some steam at South Bank Parklands, and get great views at Mount Coot-tha Lookout. You can drive from Byron Bay to Brisbane in 2 hours. Alternatively, you can take a bus; or do a combination of bus and train. Traveling from Byron Bay in July, plan for somewhat warmer nights in Brisbane, with lows around 11°C. Wrap up your sightseeing on the 3rd (Fri) early enough to drive to Noosa. Visiting Kondalilla National Park and Mooloolaba Beach will get you outdoors. Relax by the water at Noosa Main Beach and Peregian Beach. Venture out of the city with trips to Buderim Forest Park (in Buderim) and Maleny (Mary Cairncross Scenic Reserve & Gardners Falls). There's still lots to do: explore the wealth of natural beauty at Noosa National Park, choose your vessel at Lake Escapades, and get great views at Laguna Lookout. To find traveler tips, ratings, and other tourist information, go to the Noosa trip itinerary builder app . Traveling by car from Brisbane to Noosa takes 2 hours. Alternatively, you can take a bus; or do a combination of train and bus. Wrap up your sightseeing on the 8th (Wed) to allow time to drive to Hervey Bay. On the 9th (Thu), tour the stables at Susan River Homestead Adventure Resort and then get up close to creatures of the deep with a dolphin and whale watching tour. For maps, traveler tips, reviews, and other tourist information, read Hervey Bay trip maker app . Getting from Noosa to Hervey Bay by car takes about 3 hours. Other options: do a combination of train and taxi; or do a combination of train and bus. In August, plan for daily highs up to 27°C, and evening lows to 13°C. Finish your sightseeing early on the 9th (Thu) to allow enough time to travel to Fraser Island. Relax by the water at Indian Head and Eli Creek. Get outdoors at Lake McKenzie and Central Station Rainforest. To see reviews, where to stay, and tourist information, refer to the Fraser Island trip itinerary planner. Traveling by combination of car and ferry from Hervey Bay to Fraser Island takes 4.5 hours. In August in Fraser Island, expect temperatures between 27°C during the day and 13°C at night. Wrap up your sightseeing on the 13th (Mon) early enough to travel to Daydream Island. Kick off your visit on the 14th (Tue): identify plant and animal life at Daydream Island Living Reef. To find where to stay, traveler tips, more things to do, and tourist information, use the Daydream Island trip planning site . Use the Route module to find suitable travel options from Fraser Island to Daydream Island. Expect a bit warmer evenings in Daydream Island when traveling from Fraser Island in August, with lows around 21°C. Wrap up your sightseeing by early afternoon on the 14th (Tue) to allow time for travel to Airlie Beach. Take a break from the city and head to Speed Boats Tours and Waterskiing & Jetskiing. Visit Horseshoe Bay and Airlie Beach Lagoon for some beach relaxation. There's more to do: explore the activities along Heart Reef and soothe aching muscles at some of the top local wellness centers. To see where to stay, other places to visit, and tourist information, use the Airlie Beach trip planner. The Route module can help you plan travel from Daydream Island to Airlie Beach. In August in Airlie Beach, expect temperatures between 26°C during the day and 21°C at night. Finish your sightseeing early on the 17th (Fri) to allow enough time to ride a ferry to Hamilton Island. On the 18th (Sat), see some colorful creatures with a scuba or snorkeling tour. On the 19th (Sun), you'll have a packed day of sightseeing: tour the pleasant surroundings at Catseye Beach and then take in the waterfront activity at Hamilton Island Marina. To find traveler tips, photos, and other tourist information, read Hamilton Island online tour itinerary planner . Traveling by ferry from Airlie Beach to Hamilton Island takes an hour. Alternatively, you can do a combination of bus and ferry. Expect a daytime high around 26°C in August, and nighttime lows around 21°C. Wrap up your sightseeing by early afternoon on the 20th (Mon) to allow enough time to travel back home.